Playing Cricket requires a lot of skill and to develop that skill you need proper equipment that you can train with. A Cricket bat is a must if you want to make yourself perform better on the field. The perfect bat for you will enhance your playing style and give you an edge over the competition. When making the choice, you need to make sure that the bat meets your expectations. The cheapest bat is not the only option you can have. So, finding a good company will ensure that you have a high-quality cricket bat. Gunn and Moore is one such company that you can put your trust in to find an excellent cricket bat. This company is the choice of many great batsmen and still continues to be one of the best in the market. The company has been making cricket bats for over 130 years and they have a lot of expertise in this field. Gunn and Moore have a bat for every kind of player in every kind of budget. Gunn and Moore have a wide range of Cricket Bats which are the choices of numerous top-tier players who recommend this brand to other aspiring players. Players who have been icons of the game such as Graeme Swann, Graeme Smith, Steve Waugh, Stephen Fleming and Michael Vaughan have used this brand. GM has implemented DXM Technology in their bats which are the results of a 5-year research program and it makes the wood very flexible and extremely durable with the excellent wood conditioning. Gunn and Moore have introduced its newest 2018 range which is the Gunn and Moore Haze Lite range. 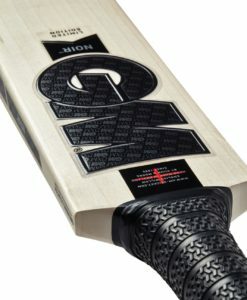 Gunn and Moore Haze Lite Signature LE is the best bat in this range. The bat offers great durability with excellent manoeuvrability and is perfect for players who have a tall build but are not as strong as adult players. The L555 blade gives the bat great balance and power. The bat has a mid to high sweet spot which is great for tall players. 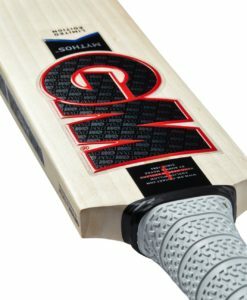 Another range introduced by Gunn and Moore in 2018 is the Haze Max range which is built for players who need power from the bat and the Haze Max delivers it. The bat has huge edges and a large swell for maximized power. The bat is fitted with a terrain grip to give you comfort and better grip onto the bat. The other range introduced in 2018 by Gunn and Moore is the Zelos range. The Zelos DXM Original LE is the best bat in this range. The price of the bat is high but it is worth every penny. The GM Zelos has the most centred sweet spot in all of the bats introduced in the 2018 range. Coupled with excellent balance, the Zelos can destroy the opposition’s bowlers with its power. It’s a lightweight Cricket bat but, it still provides great power and stability to the batsman. One of the most popular ranges which have been a favourite of most players is the GM Chrome range. 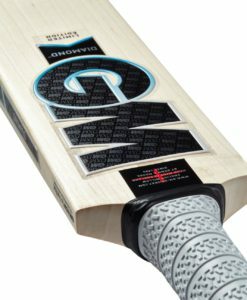 This range has bats for all ages and sizes to suit your playing style. This range is one of the finest that Gunn and Moore have ever made. The Neon Range is also something that you can take a look at. The short L540 blade length makes the bat easy to manoeuvre and play a variety of shots with ease. The bat has massive edges to provide excellent power. Made for the traditional player who needs a shorter blade. The bat is suited for all-round play as the sweet spot is on a mid to high swell position. All Gunn and Moore bats are made in Nottingham, England to ensure that the person who gets the equipment, gets it from the best craftsman in their factory. The company has the perfect bat for your needs in every aspect. For the powerful and explosive batsman as well as the touch player who likes to take the game slowly.